We cast our eye over the Sheffield Shield somewhat occasionally here on 51allout (see?). Not through any sense of duty, but because the competition, for all of its neglected, run-down appearance these days, still remains pretty interesting. But even that dim interest is rapidly fading, given its increasing irrelevance. The day is not long off coming when the only people who will remember it even exists are the die hard statisticians like Ric Finlay. Maybe the players themselves might even realise that the whole thing is a waste of their time, and drift away towards more profitable pursuits instead. Like that McDonald’s job Brad McNamara always felt George Bailey was better suited for. 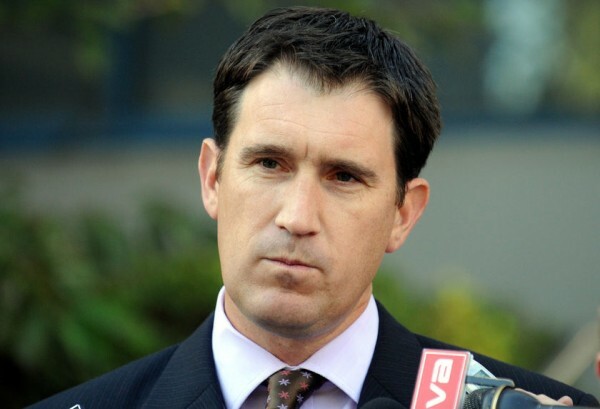 Because it has become increasingly clear, even over the past year or so, that the Australian selectors, and Cricket Australia as a whole, couldn’t give a damn about the competition anymore. Part of the problem is the Big Bash, the moneyed-up little brother who is now winning all the plaudits and has forced the Shield season to be split into two to accommodate it. Another part of the problem is that Cricket Australia now use the competition as a testing ground for whatever new ideas they can come up with: pink ball rounds, Duke ball rounds. We’re looking forward to them introducing a hit and run round next year. Then there is the scoring system – despite it being used for near two seasons now, we still don’t have the foggiest idea of how it all actually works. There are the games that are being pushed to increasingly obscure venues in places such as Wollongong, Alice Springs and Townsville. Basically anywhere where they can find a pitch that hasn’t been covered over already in preparation for the football season. Or even the increasing uncompetitiveness of a competition in which, despite there being only six teams, Tasmania have somehow manged to be a complete basket case for years. We’re happy to announce some exciting new rules for the 2017/18 season, including one hand one bounce, electric wicky, and six and out. All of these factors have contributed to the increasing marginalisation of the competition, but there is an even bigger issue than these: Australian selectors now go out of their way to ignore the competition when picking national teams. Marcus Stoinis was called up to the Test team in India despite averaging 17 with the bat and 43 with the ball this season. The man he replaced, Mitchell Marsh, was recalled to the Test setup after not playing a single Shield game all season. Mitchell Swepson also made the cut, after taking 10 wickets at 43. And Glenn Maxwell was included after a stellar average of 25 with the bat, and 86 with the ball. Then consider the players who didn’t make the grade: Moises Henriques was passed over as a replacement for Marsh despite averaging 65 with the bat this season; Pat Cummins was called up after one game, ahead of the likes of Chadd Sayers (50 wickets at 18.6), or Jason Behrendorff (31 wickets at 16.3) and Matt Wade remains the number one keeper despite Peter Nevill averaging 58 with the bat this season (Wade averages 28).We could go on, but there is no point: the moral is clear. Australian selectors don’t care about Shield performances anymore. Perhaps they just don’t rate the competition, so despite Sayers topping the wickets charts year after year, they don’t regard that as a legitimate indicator of his readiness for Test cricket. There are now two paths into the Australian Test team. The first is through Australia A games. Matt Renshaw made his mark in Shield cricket, but it was his performances for Australia A against South Africa A in late 2015 that put him in the frame for national team selection. 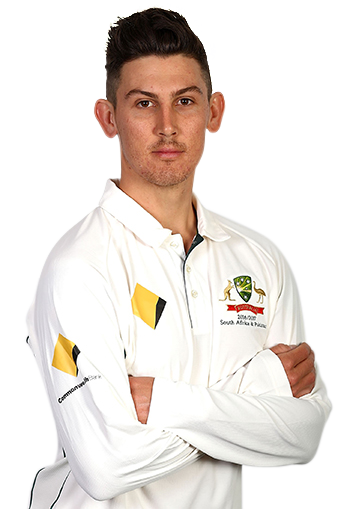 Nic Maddinson was always in the frame for a call up after scoring 181 for Australia A against Gloucestershire in 2013, despite doing bugger all in the Shield since. Even Stephen Peter Devereux Smith earned his spot in the 2013 Ashes after scoring a century against Ireland on the same tour. You don’t even have to score your runs for Australia A these days; Mitchell Marsh earned his spot in India after performing in an inter-side match in Dubai. A game in which the short leg position was occupied by a plastic chair. It certainly seems that this standard of game counts for more than Shield performances these days. The second path is through limited overs performances, which is how Stoinis got his opportunity, and seemingly why Maxwell managed to get a spot in the touring side despite being horribly out of form. The third path to the Test team is, of course, simply to play for New South Wales. What all this means is that if you are a young cricketer who hopes to one day play Test cricket for Australia, you are best advised to treat the Sheffield Shield with a great deal of caution. Play in the competition, sure, but concentrate your efforts on excelling in the short form games, the Matador Cup, the Big Bash, and in the IPL if possible. Build a reputation as a promising young player, and from there try and achieve selection in a Australia A team. At this point you never need to play Shield cricket again, as it won’t help your chances much. It might, as in the case of Cameron Bancroft, even hurt them. All you need is one big performance for Australia A, or for one of the limited overs teams, and then sit back and wait. If the cards fall in your favour, as they did for Maddinson and Stoinis, a Test cap is yours. There is the odd exception, such as Joe Mennie (remember him?) who earned his single cap on the back of strong Shield performances in the 2015/16 season (although a stint in Australia A helped), but increasingly this doesn’t happen. It hasn’t gone unobserved to the likes of Cameron White and Michael Klinger, who despite dominating in recent seasons are as far away from Test selection as ever. What does this mean for the Shield competition as a whole? We’re not sure, but nothing good. The competition is too old to simply disappear, but where it once was ignored just by the Australian public, it is now also largely dismissed by administrators too. As a result it will likely fade even further into obscurity. A testing ground for ever more bizarre tweaks not yet considered ready for the international stage (like Cricket Australia’s orange/pink ball experiments), a resting home for cricketers no longer considered viable national team prospects (i.e. anyone over 25), and a convenient means to fill the gap between the Matador Cup and the Big Bash. If this trend continues the Sheffield Shield will soon become a cricketing graveyard, only of interest to statisticians who can’t but help picking over the bones.